The general rule is to avoid being outlandish with kitchen design choices, as you yourself may get sick of extreme color choices. But if you are a free-spirit who thrives on change, you may want to be bolder with your kitchen design choices. We recommend that you plan ahead so that you can enjoy making changes, but keep it affordable. An experienced kitchen designer can help you build the right bones into the kitchen, which will allow you to adapt — even annually if you desire — to the latest style trends. Many kitchen remodels — even as recently as a few years ago — were aimed towards resale value. But now, if you are one of the many folks remodeling for their own personal comfort as they stay put longer, you can focus on the way you would like your kitchen to look. Some people make big changes to the ambiance of their kitchen with the time-honored use of paint on the walls and choices of colorful accessories, which can be changed fairly easily if you want to change up the atmosphere of the room. But we have an additional suggestion, which can be more affordable than you’d imagine. 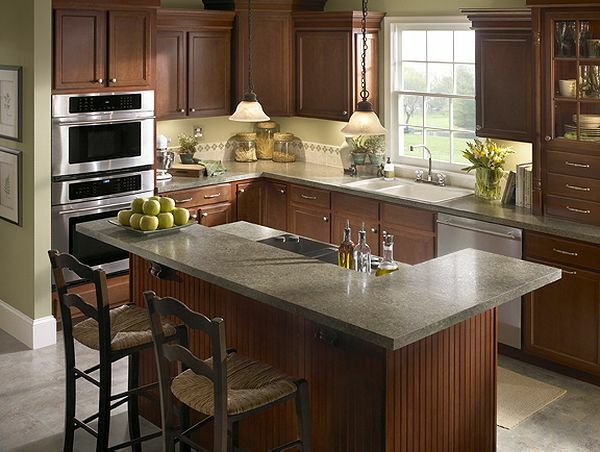 Start by investing in the best cabinetry that you can afford — in a timeless style that suits the rest of the home. 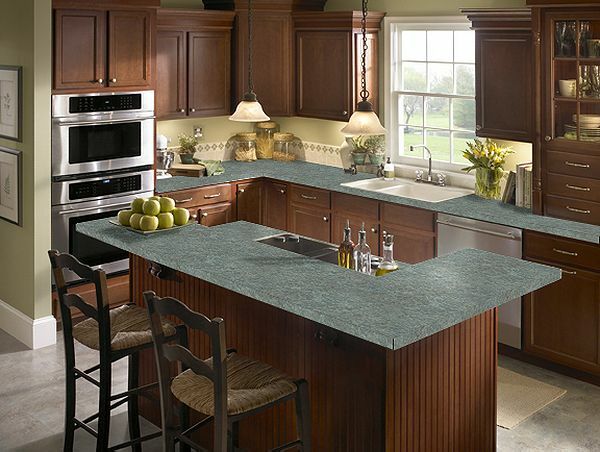 Then choose laminate for the countertops rather than stone. Laminate will provide you with a more economical way to make a big style change. It’s no longer your grandmother’s laminate – the number of color choices are staggering. Some even mimic stone. Laminate is a hardworking surface that now is also quite beautiful. This could be a very good choice for a young family. Laminate will provide a hardworking surface to withstand everyday spills, baking projects like holiday cookies and even constructing science projects like the ever popular volcano! As time goes by, you might want to repaint the walls and change the accessories. These are manageable changes for a busy family, but that can make your kitchen feel like new. 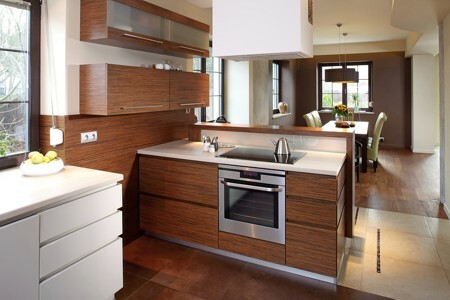 Then, when the children have become teenagers, because laminate is so affordable you may decide to update the kitchen with a new laminate countertop to freshen up the kitchen. 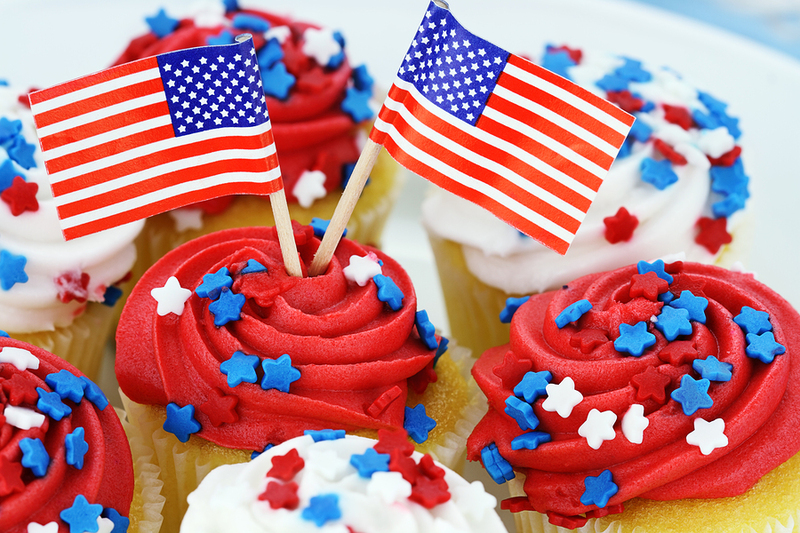 Laminate will continue to serve you well for everything from cooking lessons to pizza parties. 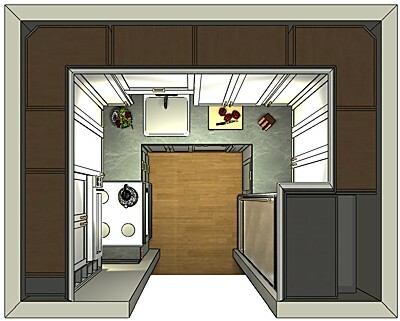 Good planning with an experienced designer will make your kitchen versatile for style changes as the years go by. We’ve previously discussed having natural lighting to illuminate and open up your small kitchen space. Color schemes in your kitchen are also very important. Bright colors, especially white, are even more at home in a small kitchen design. Having neutral or bright colored cabinetry and countertops can help significantly to make the kitchen feel more spacious and welcoming. Too many existing small kitchens are like caves. If there isn’t sufficient natural lighting, even beautiful dark hardwood cabinetry can make the space can feel cramped and unwelcoming. Adding to the dark theme with dark countertops, and possibly dark flooring, will make it feel as if the walls are closing in on you. This isn’t to say you can’t have dark colors in your small kitchen. You just need to be mindful of selecting perhaps the flooring to be dark and the cabinetry to be white or light-colored. 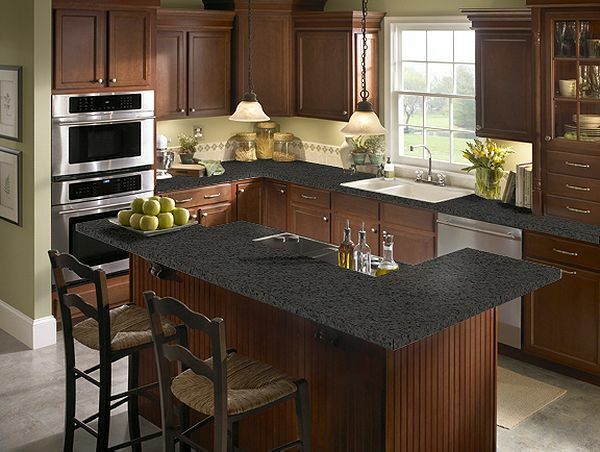 Then, depending on your taste, you could choose a dark countertop if you desire. Having plenty of natural light or brighter colors on the painted surfaces and/or accessories to contrast the darker aspects of your kitchen will provide balance. There are plenty of galley type kitchens that can employ dark cabinetry as long as they have a much lighter colored countertop and perhaps lighter colored (perhaps silver) appliances to contrast the darkness and keep the kitchen more vibrant, because being all dark colored can be dull. It’s a matter of personal taste, but in general, it’s good to keep the colors varied, without being too starkly contrasting — and include plenty of natural and electric lighting. Ask your designer to help you decide what color schemes will work best for your space and your personal style.